Fortinet Inc. is a company dedicated to protecting the Network Security with Broad Visibility, Integrated Detection, and Automated Response through the Security Fabric. Fortinet is an American multinational corporation headquartered in Sunnyvale, California. It develops and markets cybersecurity software, appliances and services, such as firewalls, anti-virus, intrusion prevention and endpoint security, among others. It is the fourth-largest network security company by revenue. In this session, Fortinet Engineers will demonstrate the secure fabric and give viewers a rich, hands on experience in how the secure fabric operates and functions in a network environment. This demonstration will simulate WAN and LAN security and network functions while showing the users how security is applied at every level and true visibility is achieved from one end to the next. As users realize the true potential of what a security fabric operates, they will have the opportunity to interact with the technology and use their own devices to bring the infrastructure alive with real-time data. 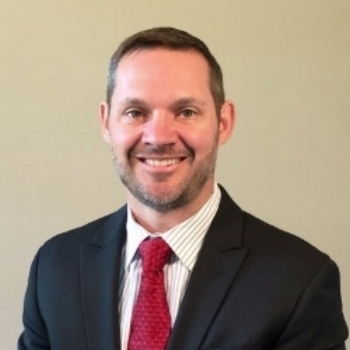 Ryan Edwards is a Senior Systems Engineer who works with Fortinet, Inc. Ryan’s current mission is to use his extensive experience in the IT Industry to help companies reach their cyber security and threat response goals. Ryan believes that building strong relationships and maintaining a high degree of integrity along with a strong knowledge of the current threat landscape helps him be successful in accomplishing that mission. Ryan has worked with some of the largest and most profitable companies across several different verticals. This has enabled him to become a resident expert at seeking out areas of weakness and opportunities for improvement within these variable environments. Ryan holds a many industry certifications and holds the degree of Master of Science in Management with a focus on Information Technology.